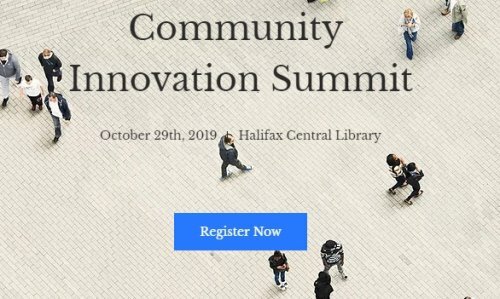 The folks behind Halifax's first Community Innovation Summit are from all across Nova Scotia. They are independent consultants working with government, the community sector, the private sector and in academia. They care about Nova Scotia, and want to support people working together in new ways to create strong, inclusive and powerful communities. The goal of the summit is to blow up this buzz word 'innovation' that's getting tossed around so much these days, and ask: What is Innovation really all about, and what do we need to cultivate it properly - especially in our communities?